Abu Dhabi Ports the master developer, operator and manager of commercial and community ports in UAE, as well as Khalifa Industrial Zone, in conjunction with Abu Dhabi and the Korean Chambers of Commerce and Industry, have hosted yesterday a high level investment forum for the Korean market, in Seoul. Held at the headquarters of the Korean Chamber of Commerce and Industry, the Forum objective was to highlight and explore promising industrial, trade and investment opportunities by introducing the Khalifa Port Free Trade Zone, recently labelled as the the largest free zone in the Middle East, to the Korean market. The forum was held in the presence of His Excellency Abdullah Saif Al Nuaimi, UAE Ambassador in the Republic of Korea, Mana Mohammed Saeed Al Mulla, CEO of Khalifa Industrial Zone, representatives from the Abu Dhabi Chamber of Commerce and Industry in Korea, and the Abu Dhabi Department of Economic Development, with a large presence from Korean investors and companies. The investment forum brought together Abu Dhabi Ports with leading business leaders from Korea to highlight the benefits of investing in a safe and stable UAE economy and included a presentation on Abu Dhabi ports and KIZAD, focusing on Khalifa Port Free Trade Zone, which is poised to serve as the regional destination for future foreign direct investment attracting an array of trade, logistics and manufacturing sectors. The Abu Dhabi Department of Economic Development, through its participation in the investment forum in Seoul, supports the efforts of attracting foreign investments which contribute to the economic development of the Emirate of Abu Dhabi. 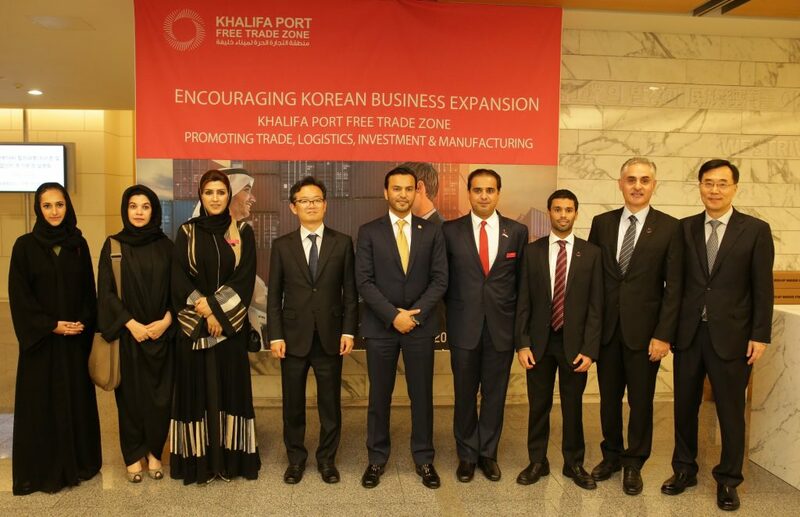 Mohamed Juma Al Shamsi, CEO of Abu Dhabi Ports said: “The economic ties between the UAE and South Korea have seen positive developments over the past years; recently Korea has become one of the most important strategic partners to the UAE. We organized this Investment Forum in Seoul, in association with the Abu Dhabi and Korean Chambers of Commerce and Industry, to brief Korean investors on the achievements of Abu Dhabi Ports for the last decade but also our current standing and future outlook. 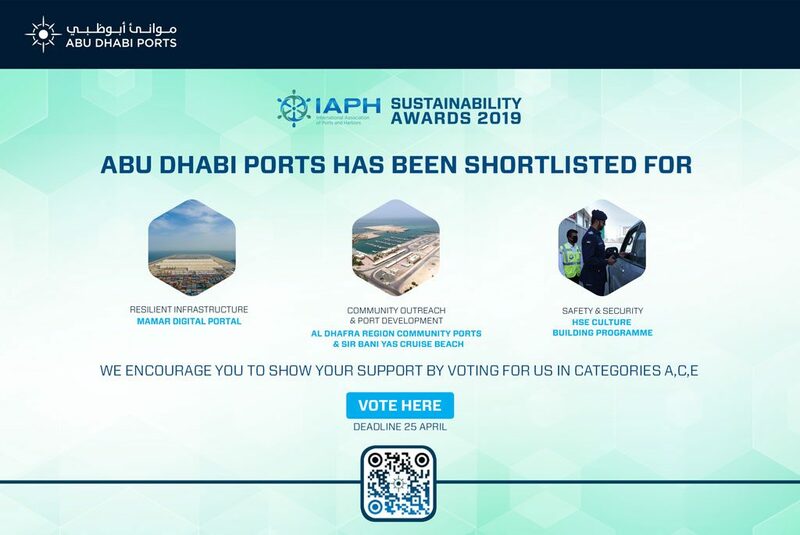 The Khalifa Port Free Trade Zone seeks to establish a new destination for trade in the GCC and Middle East, and to reaffirm the status of Khalifa Port as one of the most important regional ports and logistics centers in the region”. Khalifa Port Free Trade Zone is located within KIZAD and covers a total area of 100 sq km divided into Areas A and B and supports many investment sectors including aluminum, automobiles, engineering and metal products, port logistics, food, pharmaceuticals, polymers, packaging and other industries that rely on Khalifa Port. 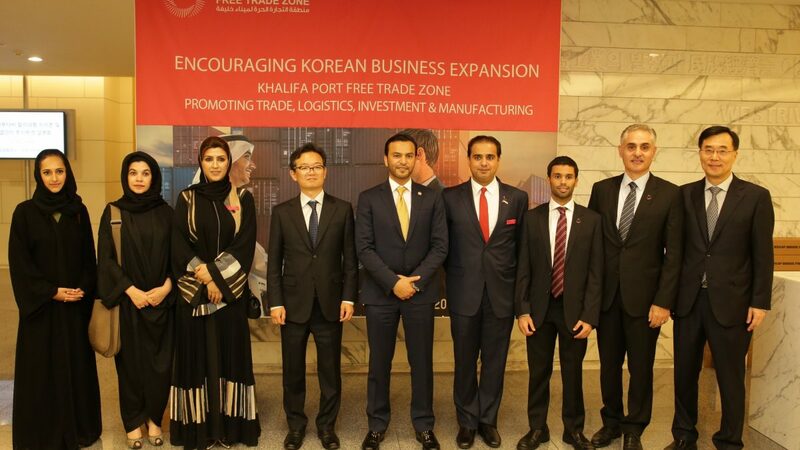 Mana Mohammed Saeed Al Mulla, CEO of KIZAD, stressed the importance of the visit to the Korean capital, Seoul and said: “The visit is a great opportunity to introduce to the most prominent Korean companies and investors the promising investment opportunities in Khalifa Port Free Trade Zone. In addition to outstanding access to global markets, Khalifa Port Free Trade Zone provides many benefits to foreign direct investors, including competitive rental rates, low cost of doing business, full tax exemptions, granting foreign investors full ownership of their projects and full repatriation of their capital and profits, as well as the possibility of shipping goods at competitive prices, smooth customs procedures and other centralized processing benefits. KIZAD and the Khalifa Port Free Trade Zone has become the headquarters of major international brands and companies, as it is a unique model that brings together free and non-free zone solutions”. As part of the Free Trade Zones’ efforts to enhance its global competitiveness, 35 additional warehouses will be launched soon for rent, in addition to the light industry units in KIZAD that comprise 75 units serving the SME sector. The logistics complex at KIZAD comprises 105 units, many of which have been leased by leading logistics and trading companies. KIZAD is developing a plan to build an integrated business park including offices, hospitality and health uses, supported by community centers which include local and district centers, in KIZAD and the additional free zone. Abu Dhabi Ports will be organizing today a meet with Korean companies which served as a golden opportunity for both sides to dig deep and learn more about the individual Korean businesses, their activities and requirements, as well as to drill down to the value proposition provided to prospective Korean investors in Abu Dhabi.